After 70 years of planning and haggling, a bridge linking Manhattan to the Borough of Queens was opened on March 30, 1909. Two hours of fireworks celebrated the new Queensboro Bridge which had cost $20 million and the loss of 50 lives. 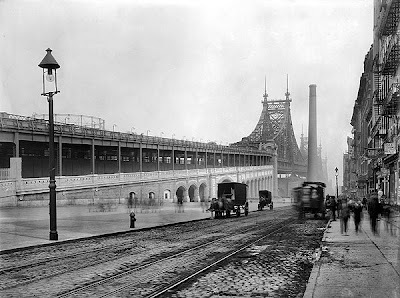 Essentially unnoticed, however, was the area beneath the bridge – the graceful tile-clad pillars and arches that supported the roadway approaches; each pillar and arch increasing in height as they neared the shoreline. 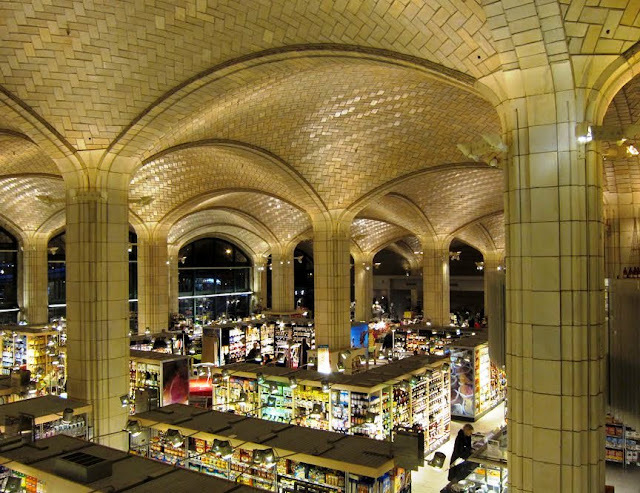 The planners had called upon Rafael Guastavino to ornament the cavernous space beneath the great bridge. 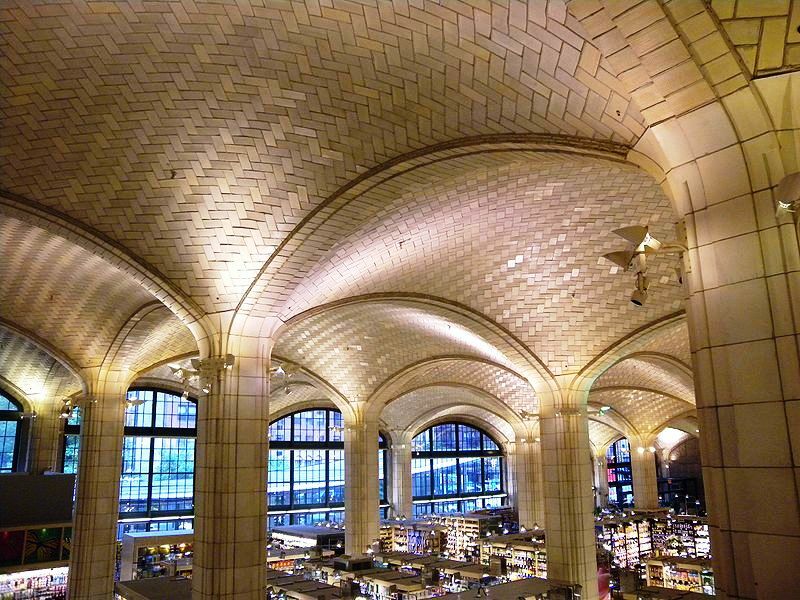 Guastavino's reputation was well-established by this time; his work was widely known in the City Hall Subway Station, Grand Central Station, Grant’s Tomb and other projects. Guastavino improved and patented a centuries-old process of interlocking terra cotta tiles installed in layers of mortar, enabling extremely strong arches with no visible means of support. The tiles, while individually fragile, became incredibly strong through this process. The City Fathers, however, were apparently not convinced. Within a few years the City would be forced to rethink allowing the “lofty and light” space to go unused. 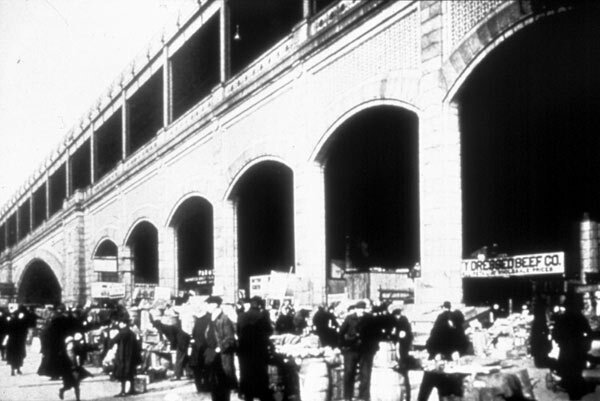 In 1914 there was a severe shortage of market facilities in Manhattan. At a time when Baltimore, Maryland, offered 5000 market stalls to shoppers, Manhattan had only 137. While there was an abundance of fresh food products, there was a shortage of outlets to get them to the public. In August of that year, Manhattan Borough President Marcus M. Marks announced the opening of four “free” markets (farmers and fishermen could offer their products without a stall fee). One of these would be installed beneath the Queensboro Bridge. The writer’s hopes were in vain. The City Comptroller, William A. Prendergast, closed the open-air markets in February 1915. In the 1930s the New York City Department of Transportation took over the cathedral-like space; however it sat neglected for over four decades. Then, in 1977, Hardy Holzman Pfeiffer Associates drew up plans for a market and walked them through the overwhelming public review process. 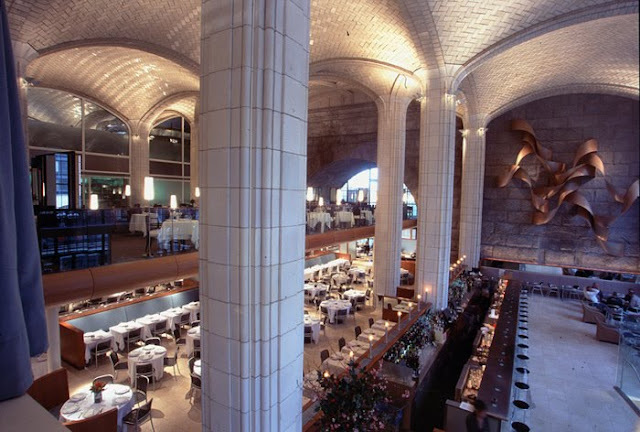 Twenty years, $24 million and several design changes later, Guastavino’s astounding 98,000-square-foot vaulted space was reincarnated. 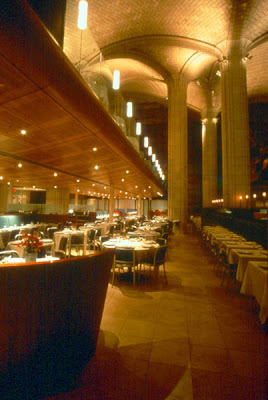 Architects Hugh Hardy and Terence Conran transformed it into a European-style marketplace called Bridgemarket. The Department of Transportation provided the restoration of the tiles and terra cotta detailing and installed exterior glass walls that maintain the integrity of the original open space. The cooperation of The New York City Landmarks Commission, the Economic Development Corporation, the DOT and numerous individuals resulted in the functional and beautiful redesign of one of New York City’s most amazing historical spaces. Thank you for the info. & pics. I have lived in the area for 30 yrs now & am happy for the positive changes. My only "beef" is with Guastavinos which is so heavily elitist I have never set my foot inside & their taking over of the public plaza right outside their entrance & restricting use of it with oppressive staff who get sent out to tell you to leave - is heavily wrong & offensive.